Annie Shelton didn’t expect to be in LA the summer before her senior year in high school, but her parents have separated and her hairdresser mom’s skills caught the eye of a movie producer. Soon Annie and her mom aren’t simply in LA, they’re on tour with one of the hottest boy stars around, and Annie’s got more to oggle than the European architecture she came to see. 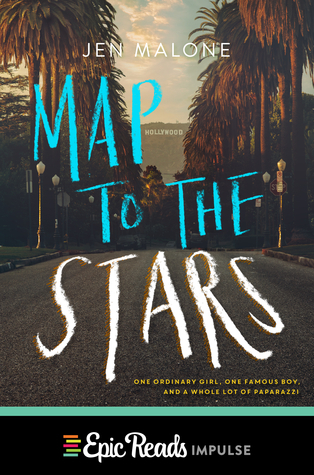 Map to the Stars is a fun beach read made even better by the knowledge that Jen Malone worked as a movie studio publicist, so she knows the kind of crazy that happens when movie stars go on tour. Any preteen or teen who has ever fantasized about the hot new star will enjoy reading this fun romance.